In this article we will look at how to Install PyCharm on Ubuntu 18.04. PyCharm is a very powerful IDE, used by many developers around the world to write and develop Python code. PyCharm features include Syntax highlighting, Autocomplete, analysis tool, debugging, version controlling (Git) and many more. PyCharm supports popular web frameworks such as Django, Flask, jQuery, and AngularJS making it the perfect python IDE for your Ubuntu desktop. 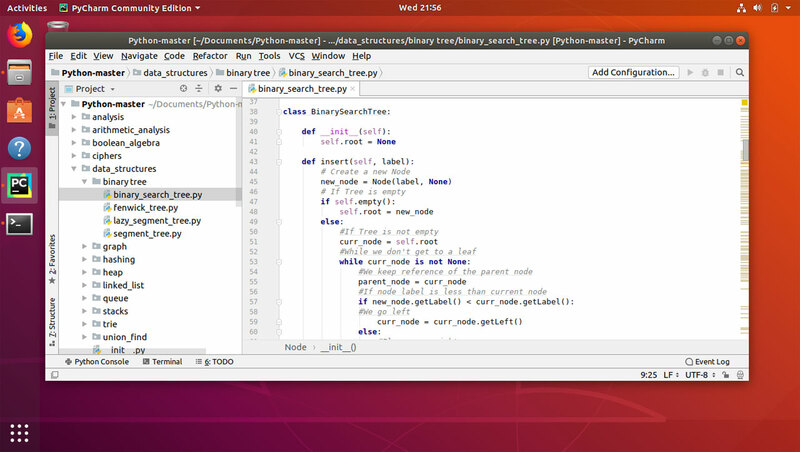 If you prefer to use simple and lightweight IDE for writing python code, then install the IDLE IDE for your Ubuntu desktop.